It has been two weeks since my surgery and I’m finally beginning to climb out of the foggy tiredness that characterized my first week home. I’m still living in my baggy sweats, but it’s so great to be able to cook breakfast (or shower, or walk 10 feet) without having to take a nap afterwards! It’s also great to have my normal appetite back–I lost ten pounds that first week and trust me, that’s no kind of diet plan! I could only manage to eat the tiniest portions of very bland food. Oh, how I’ve missed eating yummy, spicy food! Now that I can eat (and drink!) again, the Man of the House developed this amazing cocktail inspired by a drink called The Crisp that he enjoyed at Bar Chloe in Santa Monica, California. 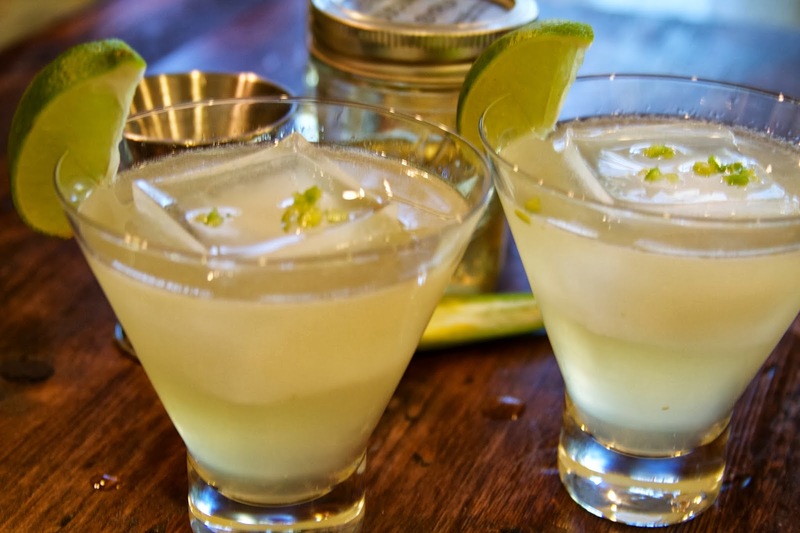 This cocktail is not for the faint of heart as it packs a spicy punch that lingers long after you’ve finished that last tantalizing sip–seriously, it makes your lips burn, but it’s a good burn! This could not be easier to make. 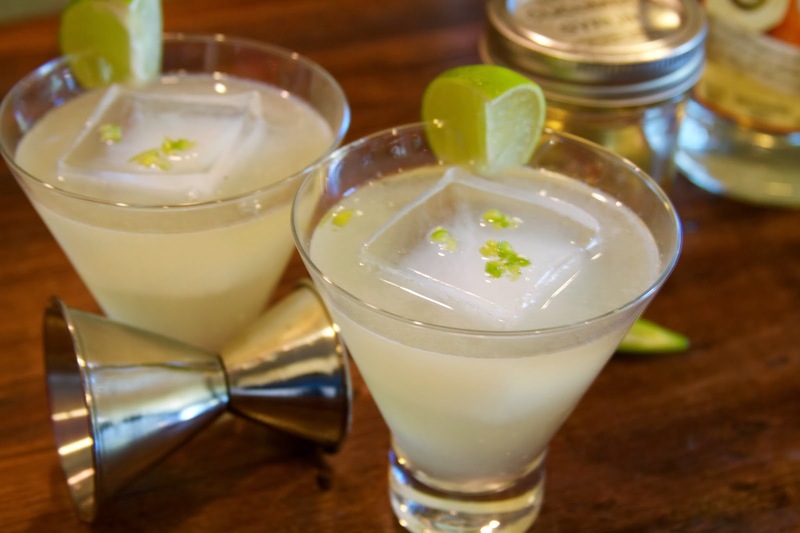 Combine all ingredients in a cocktail shaker with ice and shake briskly. 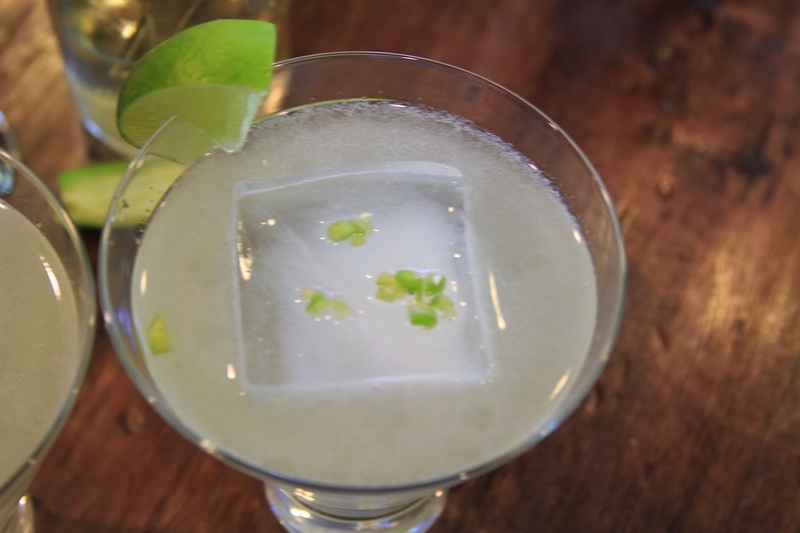 Strain into a chilled cocktail glass and serve with a lime wedge and, if you dare, a sprinkle of minced Serrano chile! ** For cucumber infused simple syrup, combine 1 cup of sugar and 1 cup of water in a saucepan over medium heat. After the sugar completely dissolves, remove from heat and add one sliced cucumber. Cover the saucepan and allow the mixture to cool completely. Strain and store in a clean glass container.